Can we make sense of satisfaction or real joy? It’s one life’s most common questions. Answers for most people are rather less common. I’m interested in knowing, aren’t you? Here’s a book to show us the way. The subtitle of “Meditations of a Christian Hedonist” tells you what a unique writing John Piper presents to us in this revised edition published by Multnomah. It’s interesting that he has to answer for his writings 25 years later when life had opportunity to test his theories. I found it a real challenge to my Christian life. He goes against so much conventional wisdom, but really discusses the subject with a Bible ever in his hands. He tweaks the famous confession to “The chief end of man is to glorify God by enjoying Him forever.” I think he makes a powerful case that the Bible actually teaches this very thing. 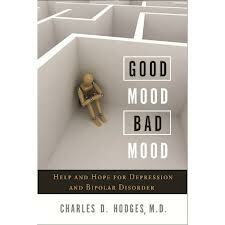 His chapter on the “The Happiness of God” is hard to refute. Apparently, in the last 25 years several have tried. Mr. Piper weaves his premise through many of the most important aspects of the Christianity. Happiness in God is all through the warp and woof of our Christian experience in conversion, worship, love, and prayer. It gets especially interesting and life-altering when he speaks on things like money, missions, and suffering. Our modern-day Christianity comes out of those chapters bloodied but perhaps that is fair as this same modern Christianity has slaughtered our happiness on many occasions! You simply must read this book. There’s not much Calvinism to work around if you are more of a whosoever-will man like I am. I read each chapter so much more slowly than usual. There was so much to think about, so much heart-searching demanded, but I assure you that you will be glad you took the time to read it. I can see myself referring to it again and again in the years ahead. You’re heard the criticism. It’s just commercialism and we shouldn’t get wrapped up in celebrating Valentine’s Day. Is that a fair criticism? I’m a little under the weather today (nothing too serious), so I took the extra time to read really slowly down my facebook news feed and actually enjoyed reading several folks wish their spouses a Happy Valentine’s Day. Why shouldn’t their spouses get a little public recognition? Why shouldn’t they affirm what should be true anyway? With all the challenges with keeping a marriage where it should be, why not have another day on the calendar to help us remember? The arguments against it run quite similar to those we hear for Christmas. I fear that some may just enjoy being a killjoy. Perhaps it’s just their own brand of commercialism in that it will lighten their wallets a little to celebrate it. Some ladies are probably especially glad for this day because they at least now have the Big Three to expect presents: 1) Christmas, 2) Birthday, and 3) Valentine’s Day. Without these 3 dates, they might have nothing. Though that is worthy of its own lecture, it in no way diminishes the value of Valentine’s Day. It can actually be fun for the whole family. This morning my Valentine, Alicia, made a special Valentine’s Day breakfast of special pancakes and Valentine’s candy. Though I didn’t feel like eating too much myself, I enjoyed watching all those happy faces at our table. Alicia and I have always worked to make Valentine’s Day memorable and both have thoroughly enjoyed it. Our kids like it too. We have never make it an expensive thing, but always fun. Marriage, even for all the work it takes, and all the mistakes you have to overcome, is a wonderful thing. I say we should celebrate it! Yes, I should treat her like my Valentine all year, but I’m glad to focus on our love for a whole day. I’m confident, unless a man is a complete idiot or buffoon, that this day is a positive for marriage. I, for one, am glad my Alicia is my Valentine. Among all the women on our planet, she is mine. 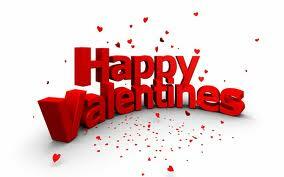 I celebrate my own blessing and happiness when I enthusiastically embrace the celebration of Valentine’s Day. Do what you like, but I am going to enjoy myself. After I posted this I found out that Alicia was writing her own post for her blog. I’m so touched by what she wrote–Romance Every Day. Thanks Sweetheart! Do you have preschool children? Then this volume by Vicki Tiede and published by Pix-N-Pens could be a real help to you. I review this book from the perspective of a pastor and parent with 2 preschool children and 4 beyond it. So I have had some time and opportunity to try various ideas and both fail and succeed at parenting in this age group. My assessment is that this book could both really help a new parent or help tweak a more experienced one. It’s so easy to fail at being diligent and to need a reminder. You will get that and some new ideas as well here. The book aims at providing “prayers and practical guidance for the preschool years.” It is broken down into the subjects of character that should most appeal to us: self-control, responsibility, respect, honesty, conscience, etc. That is the proper beginning place. From there it turns to even more practical subjects concerning development and social skills. Finally, it ends where most parents want to begin: behavior! Mrs. Tiede has the proper order. Still, her advise here is creative and sensible. There are things we simply must deal with if we love our children. The book fortunately doesn’t talk down to us and has a real spiritual tone. Every chapter ends in a suggested prayer. The only drawbacks that I could see are that, strangely, spanking is not really discussed either in a positive or negative manner, or at all really. This book, I guess, offers other creative options to either replace or supplement spanking depending on you point of view. The author is a mother and so the mother’s perspective shines a little stronger. Still, I find it helpful. God bless on raising those little gifts from God! This doctrine has lived in the battleground for years. This was, of course, always true, but since the 1920s it has reached epic proportions in the struggle between God and Satan. Were I the Devil, I too, would focus on destroying trust in God’s Word. Without that trust, how could you ever know what God really has to say to us? Then why pursue what could never be known? You see why this study is essential to Christianity itself? There are many great books that help with the key to this doctrine: the inspiration of Scripture. Here are some that I find to be the most helpful. 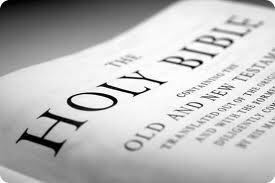 This book had such a strong influence on later volumes that held to a full inspiration of Scripture. Heavy perhaps, but so accurate in sharing the biblical position. A real classic. Perhaps the most well-known volume of all on the subject. It has graced the shelves of most conservative pastors since written. It would be a boon to the cause of Christ if more pastors read it today. Somewhat scholarly in tone, but worth mastering. I read this 20 years ago and it really helped me. It makes a very understandable case for an inerrant, infallible Bible. He really wrote with passion. He was criticized by scholars for having a position they labeled as “mechanical dictation”, but what he wrote really corresponds to what the Bible says. The last part of the volume was about translation and his position has made this book fall from favor with independent Baptists, but the bulk of the book is fine no matter where you fall on the translation issue. You might enjoy the 2 volumes he compiled on the subject, The Sword Book of Treasures and A Coffer of Jewels, as well. He makes a powerful case for inerrancy in a shorter volume. Not as deep as some volumes but very helpful. Teachers and preachers will especially enjoy his contribution. If you need to teach this subject, you will find this volume very accessible and helpful. I recommend it. You might like Inspiration of Holy Scripture by Robert Haldane as it makes a strong case (look for the beautiful Klock & Klock volume now out of print). Has God Spoken? 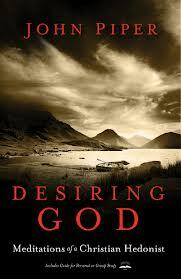 by Hank Hanegraaff is written in a popular style. Here’s some others I consulted in varying degrees: The Story of the Bible by Frederic Kenyon, Thy Word Is Truth by Edward J. Young, The Old Testament in the New by S. Lewis Johnson, Jr., All About The Bible by Sidney Collett (Different), The Battle For the Bible by Harold Lindsell, Inspiration and Interpretation edited by John Walvoord, and God’s Inerrant Word by John Warwick Montegomery. So very helpful. I couldn’t agree with every conclusion but much insight is gained in reading this volume. Extremely helpful and so I highly recommend this volume. How We Got Our Bible by Neil Lightfoot, General Introduction to the Old Testament by William Henry Green, and How We Got Our Bible by W. H. Griffith Thomas. I am a Received Text man and recommend The Identity of the New Testament Text by Wilbur Pickering. I really enjoyed Burgeon’s Warnings on the Revision by D. A. Waite. I’d love to secure Dean Burgon’s writings some day. You might enjoy A Brief History of English Bible Translations by Laurence Vance. I must say a word about some unhelpful pro-KJV writings floating around that have done the KJV and the TR (Textus Receptus) more harm than anything out there. Never use nonsense to prove a point when you actually have logical points. The racist, cruel writings of Peter Ruckman as well as the dishonest scholarship of Gail Riplinger are an embarrassment to all independent Baptists. We have much better. As I often do, I read from the other side to fully hammer out my position. The King James Only Controversy by James White and The King James Version Debate by D. A. Carson, both warm-hearted believers whose writings I have enjoyed at other times, wrote calmly, though I personally wasn’t persuaded by the minority text position they espoused. I still think that a majority of manuscripts is the best checks and balances to combat error in the text and so I follow the TR myself. Plus what God’s people have believed to be God’s Word for centuries carries much weight to my mind. I pray you enjoy studying this great doctrine on the Book we can build our lives on!